The Counter Terrorism Policing network stretches across the UK. We work alongside MI5 and other partners to find information and evidence to thwart terrorist planning and help bring perpetrators to justice. 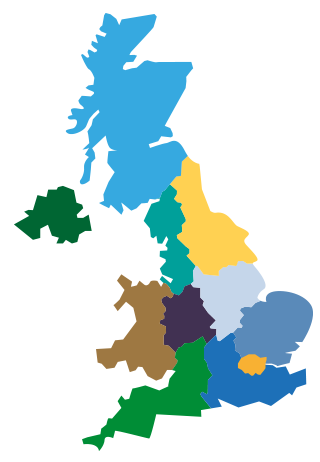 Around the UK there are eleven regional counter terrorism units (CTUs) and intelligence units (CTIUs). These units collaborate daily to confront the threat from terrorism. They have officers and staff working in a range of specialist fields such as investigations, forensics, digital exploitation, financial inquiries, community liaison and communications. At the centre of the network sits the National Counter Terrorism Policing Headquarters (NCTPHQ), which devises policy and strategy, coordinates national projects and programmes, and provides a single national Counter Terrorism Policing voice for key stakeholders including government, intelligence agencies and other partners. Alongside the headquarters is the National Operations Centre, a central command made up of units that provide operational support to the national network. The National CBRN Centre brings together the emergency services to protect and prepare the UK against the chemical, biological, radiological and nuclear (CBRN) threat. Other parts of the network include regional Special Branches and other special units. West Yorkshire, Cleveland, Durham, Humberside, Northumbria, North Yorkshire, South Yorkshire. Greater Manchester, Cheshire, Cumbria, Isle of Man, Lancashire, Merseyside. South Wales, Dyfed Powys, Gwent, North Wales. West Midlands, Staffordshire, Warwickshire, West Mercia. Avon & Somerset, Devon & Cornwall, Dorset, Gloucestershire, Wiltshire. Derbyshire, Leicestershire, Lincolnshire, Northamptonshire, Nottinghamshire. Bedfordshire, Essex, Hertfordshire, Norfolk, Cambridgeshire, Suffolk. Metropolitan Police, City of London Police. Thames Valley, Hampshire, Kent, Surrey, Sussex.